Records show that retired Oklahoma Judge Thomas Landrith currently is an unpaid board member of Southern Oklahoma Addiction Recovery, the rehab work camp he started. As a drug court judge, Landrith has sent at least nine defendants to SOAR since 2010. Nearly a decade ago, Landrith started his own rehab work camp where defendants must work full time for free at a local Coca-Cola bottling plant and other companies, under threat of prison if they don’t comply. They are required to say they’re unemployed and turn over their food stamps to the program, which state regulators say is fraud. And on their days off, some worked for free mowing Landrith’s lawn and doing yard work around his property. It’s the latest discovery in an ongoing investigation by Reveal from The Center for Investigative Reporting into rehab programs across the country that promise defendants freedom from addiction but instead turn them into indentured servants for private industry. 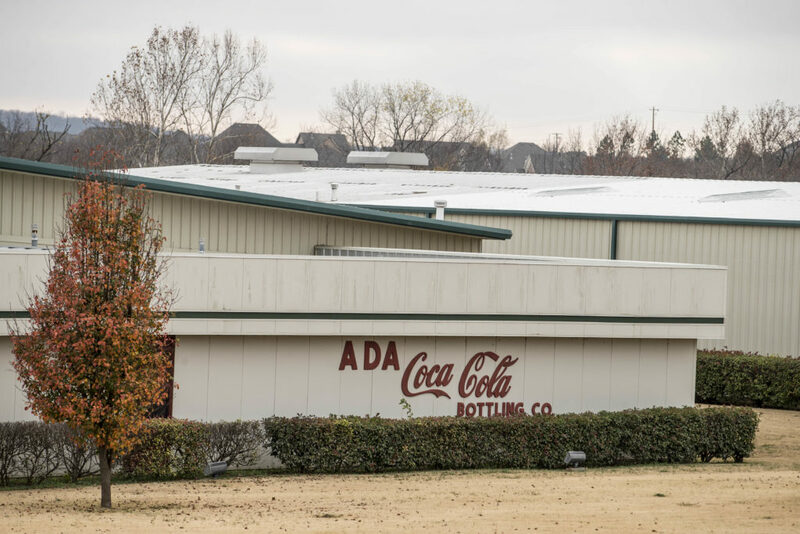 While at SOAR in Ada, Okla., defendants must work full time for free at a local Coca-Cola bottling plant and other companies, under threat of prison if they don’t comply. “We have participated in the SOAR program because of the good we have seen it can do for people in our community and are hopeful we can work with SOAR to revise the terms of the program so that we can resume participation in the future,” the statement said. 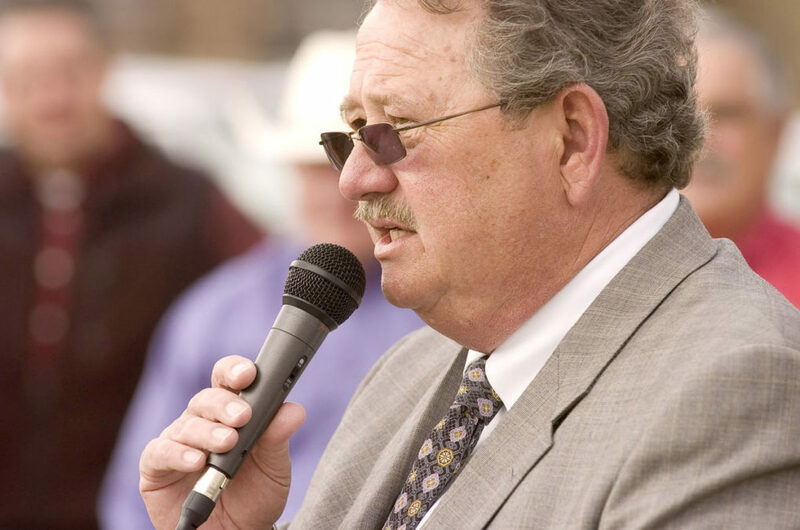 The involvement of one of Oklahoma’s most celebrated judges exposes just how pervasive this type of rehab model has become, implicating major corporations, powerful politicians and even those whose job is to uphold the law. And it lays bare a litany of ethical and legal problems that can arise in the process, even in programs started with the best intentions. State ethics rules say a judge should not serve as an officer of an organization whose proceedings might come before him or her. Landrith currently is an unpaid SOAR board member – a position he’s held since 2014 – and has sent at least nine defendants from his drug court to SOAR since 2010, records from the Oklahoma Department of Mental Health and Substance Abuse Services show. Landrith retired from the bench in 2014 but continues to work as the drug court judge in Pontotoc County as an unpaid volunteer. He said he tries to avoid sending men to his program, but doesn’t consider it a violation of the rules. The rules still apply to retired judges, said Eric Mitts, director of the Oklahoma Council on Judicial Complaints. “In general, the judge should stay away from accepting a position that might create a conflict of interest,” he said. Landrith started SOAR in 2008 as his drug court was grappling with a shortage of affordable treatment programs. The Pontotoc County jail was so overcrowded that when Landrith meted out punishment for dirty drug tests, some defendants ended up sleeping outside. His rehab program would cost defendants and taxpayers nothing. All those in the program had to do was work. 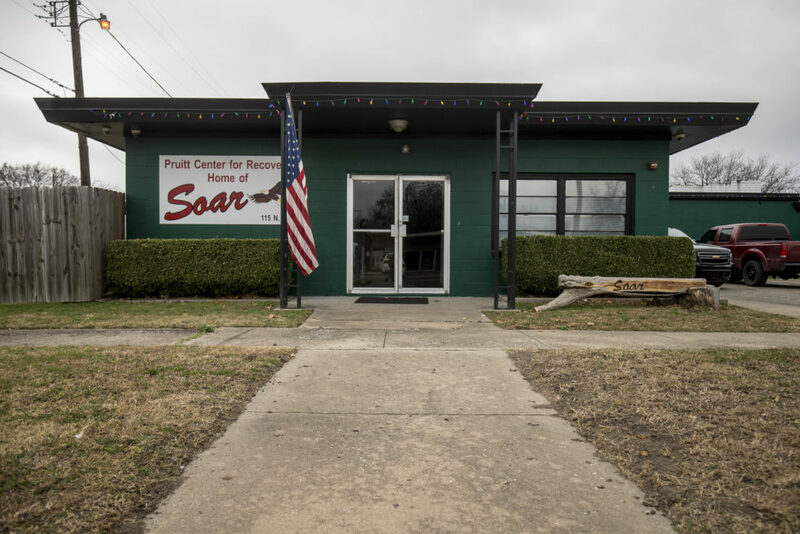 Today, SOAR houses about 55 men and women who work at a Coca-Cola bottling plant, a car wash owned by a board member, a roofing company, local motels and a Leachco factory that makes pregnancy pillows sold at Babies R Us, Nordstrom and Bed Bath & Beyond. While women in the program get to keep some of their pay, men get nothing. The companies pay SOAR for all the labor and don’t have to pay for workers’ taxes or workers’ compensation insurance, according to the rehab program. “Here at Ada Coca-Cola, we hire SOAR men because they’re dependable, reliable and they save us money,” a company representative said in a 2015 promotional video. Kevin Lowe, the hiring manager at Ultimate Carwashes said the company’s priority is helping the men. Putting them to work is the only way most are able to afford treatment, he said. In addition to working, the men are required to attend a group counseling session once a week and church services twice a week. If they complete the six-month program without breaking any rules, they’re eligible for a $500 stipend. Dustin Barnes was sent to SOAR in 2015. While there, Barnes said he was ordered to do yard work for Judge Thomas Landrith, including cleaning brush from his creek bed and mowing his lawn. If men got hurt or were too sick to work, the program often kicked them out, they said. Some worked despite being injured. Landrith told Reveal that he expects SOAR to get sued for its work practices, as two other Oklahoma rehabs have recently. If that happens, he said, most defendants going to work-based programs will probably end up going to prison. Other programs that resemble SOAR pay their participants for their labor. And most don’t have their participants perform free yard work for a judge. Landrith said he donated a lawnmower and their pay to SOAR. Cody Theriac thought he’d caught a break when a drug court judge in Tulsa decided to give him another chance at rehab instead of sending him to prison. But when Theriac arrived at SOAR, his first stop wasn’t to a drug and alcohol counselor. It was to the local food stamp office in Ada. Theriac never had applied for food stamps before. As he sat in the drab government office, a SOAR employee coached him on exactly what to say. He had to say he was unemployed, he remembered, even though a few days later he would be working full time at Leachco. He should say he was in a rehab. And once he got his benefit card, he had to turn it over to SOAR. So Theriac did it. He left the Department of Human Services office with a food stamp card that day. SOAR confiscated Theriac’s benefit card, locking it in a safe with those of other participants. Every few weeks, SOAR administrators would take a handful of men in the program to the local Walmart, where they were forced to use their cards to buy food for the entire rehab, they said. A dozen other SOAR participants confirmed that they also were told what to say to qualify for a benefit card and then ordered to relinquish it to SOAR. Some drug and alcohol rehab centers are allowed to apply for special food stamps for clients and legally purchase food on their behalf. But SOAR is not one of these approved programs and never has applied for these special benefit cards, according to the department. Murray, SOAR’s board president, called the participants of SOAR “volunteers, not employees,” saying they weren’t technically employed anywhere. He said the rehab had worked out an arrangement with the local Department of Human Services office when it came to food stamps. Martin said the department is unaware of any such deal. Landrith got the idea for SOAR from Raymond Jones, a convicted meth dealer who once came through his court. 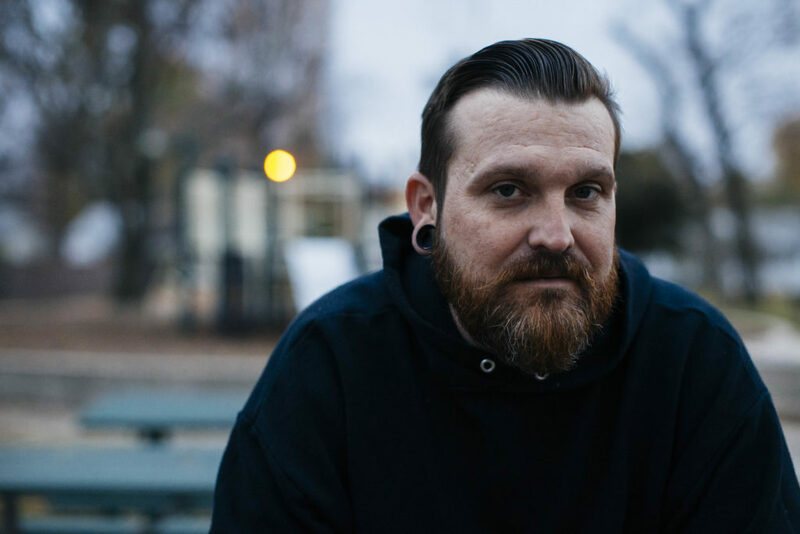 After Landrith ordered Jones to complete a similar work-based rehab program nearly 20 years ago, Jones told Landrith that he had found God and was a changed man – so much so that he decided to start a rehab of his own, called the Drug and Alcohol Recovery Program. Jones also helped launch Christian Alcoholics & Addicts in Recovery, a rehab that provides labor to chicken processing plants using unpaid workers. As a result of Reveal’s original investigation, participants filed a total of four class-action lawsuits against the two rehabs, alleging human trafficking and fraud. The program is now the subject of two government investigations. Jones confirmed that he consulted with Landrith on the creation of SOAR but said he is no longer involved. Like its predecessors, SOAR has become indispensable to courts looking for alternatives to prison. At least 15 drug courts from across Oklahoma have sent defendants to SOAR since 2010, records show. Some judges send defendants to the program to get them away from bad influences or into stable housing. But others have used the program instead of certified treatment, a potential violation of state law. The Oklahoma Drug Court Act requires drug courts to send defendants for treatment at certified facilities with trained counselors and regular inspections. SOAR is uncertified and says the best cure for addiction is hard work. Neither the courts nor the program have ever measured its success. “I’ve never worked that much in my life. I was exhausted every day,” said Jesse James Ward, who worked for a roofing company and completed SOAR in 2015. Not long after leaving the program, he was charged with drug possession. This story was edited by Andrew Donohue and Amy Pyle and copy edited by Nadia Wynter and Nikki Frick.